Have you ever wondered whether it’s worth the hassle of cleaning your gutters? It can be a time-consuming and frustrating job, but it is one that has to be done. 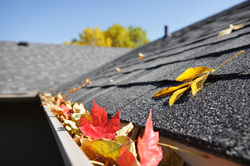 When leaves, twigs, and other debris get into your gutters it can cause a backup where water cannot pass. The water contained in the gutters can cause damage to your home or roof. It might overflow onto your foundation or yard and cause flooding. This is why gutter cleaning is mandatory for homeowners. Some household maintenance projects are best done on a seasonal basis. Some will even have specific seasons where the maintenance does the most good. 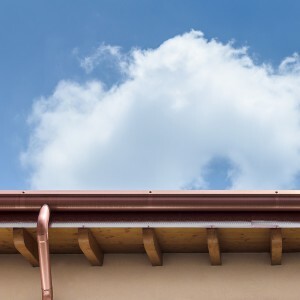 When it comes to gutter cleaning, having a pro clean out your gutters every spring and fall can result in fewer repairs and better aesthetics for your home. When you are a homeowner, you are likely to perform routine maintenance tasks inside and out to ensure that your house stays as healthy as possible for as long as possible. One of the most important maintenance tasks is gutter cleaning because these important features can help keep the soil from eroding around your home, keep it from water damage and more. 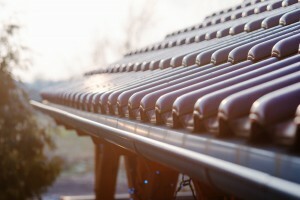 One of the best ways to get your gutters cleaned is to hire a professional. This is because you can have access to knowledgeable help with equipment that might be cost prohibitive for you, as well as because a pro will be able to check how healthy the gutters are. A home can be a massive investment. Not only of money, but time and energy, too. Maintaining a house through repairs, replacements, and renewals can be exhausting—yet necessary. When a house falls into disrepair, it can endanger the lives of those who live inside of it. If you plan on selling your house later in life, failing to keep the house up-to-date can cost you more in the long run when you have to pay for massive fixes. By that point, structural issues might be so bad that the house loses value. It may sound odd, but one of the best ways to keep your house intact is clean your gutters regularly. Home upkeep can be a necessary headache. Without keeping a house fixed up and in good condition, you can end up putting your life or your family’s lives in danger. An un-kept house can also cost money and time in the long run, especially if you plan to sell it once it’s paid off. Part of keeping a house clean means cleaning your gutters as well. But if you’re not feeling up to, there’s no reason you can’t get a professional gutter cleaning done. Many people see gutter cleaning as an unwelcome chore. However, it’s an important step to keeping your home safe and functional. 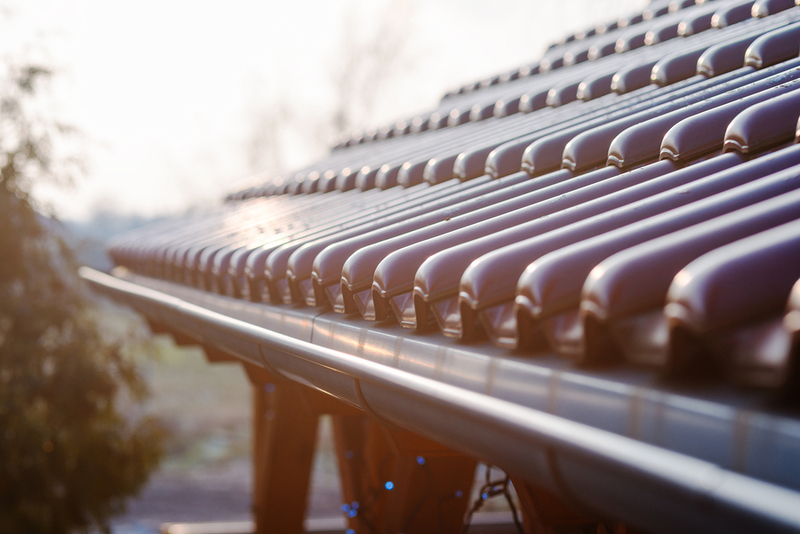 Gutters help direct the rain and melting snow that flows off your roof away from doors and windows, and helps to keep the flow in safe areas like your yard instead of backing up against your house’s foundation. 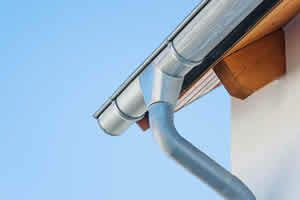 A clogged gutter can cause a number of problems. Gutter cleaning can be an extensive process when you do not know exactly what to do and are lacking experience. 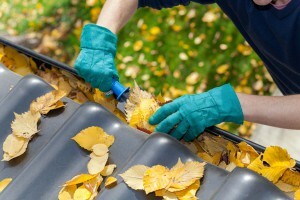 Fortunately, you can hire a gutter cleaning service to have a professional clean your gutter properly and efficiently. They have the proper tools and equipment to reduce your clogged gutters from causing any damage to your home. If you are wondering how they do it, here are some tips and the equipment the professionals use. Gutter cleaning is not a fun task, and even if you have gutter guards on your home you still need to clean it occasionally, especially in the fall. 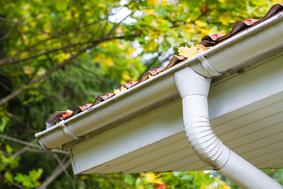 Clogged gutters can be dangerous for your home and end in costly repairs if water is left to sit for too long. However, you want to follow certain procedures when cleaning your gutters so that you are being safe in the process.